Hey folks, happy Friday. It's the day before our Independence Day here in the USA and well I am thinking of sparkly things!! ::smiles:: not the history, the food, the family gathering, but the sparkles and fireworks of the nights to come. With that in mind, I wanted to have a little sparkle with my project for today. Check it out with me. I first began by recycling a pizza box and cutting it into ATCs (2.5x3.5 inches) and postcards (4x6 inches). I will only be using the ATCs today. Once I removed the top layer or paper from the corrugated board, the second only a partial amount of the paper and the last, I left alone. 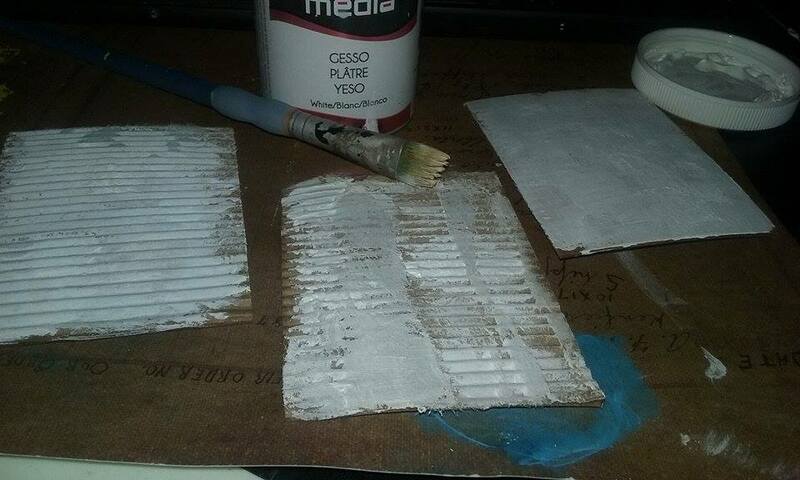 I then took my brush and used some gesso to prime my cards. 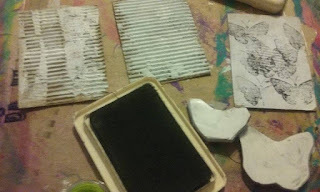 After I added gesso, I decided to use one of my Love of Butterfly stamps to add texture to the flat untouched ATC base. I know I have said this before.. but some folks buy coloring books when they want to color. I buy stamps. 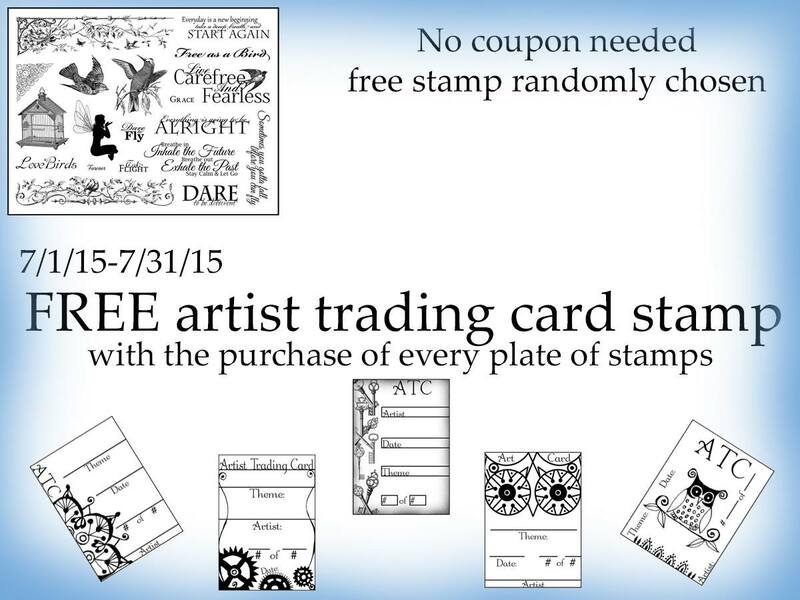 There are many hours I spend coloring stamps with no real project in the making. The even bigger upside is when I need finished one, I almost always goto my stash of pre colored images from the Just Us Girls stamp set by Terri Sproul. 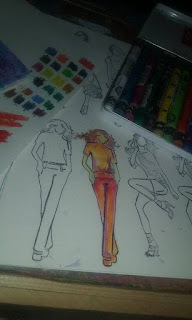 I used neocolor II and Derwent inktense pencils. I then saturated my ATC gessoed bases with the vibrant Twinkling H20s from ColourArte. I even colored a butterfly, just because I love coloring stamps and this combination of the colors here seemed to blend well together. 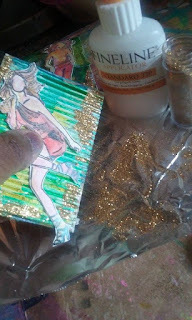 If that wasn't enough, I added some very fine gold glitter with the use of my Helmar's Acid Free that I have enclosed in my fineline applicator. 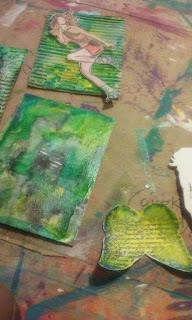 My ATCs were almost done.. had to make sure everything adhered in place. I pulled it all together and still added even more sparkle with some sequins. The ATCs make me happy. The stamps from Sin City Stamps and the color from the Twinks, made the ATC come to life! I bid you all a safe and fun holiday weekend!! Wow they are so neat! 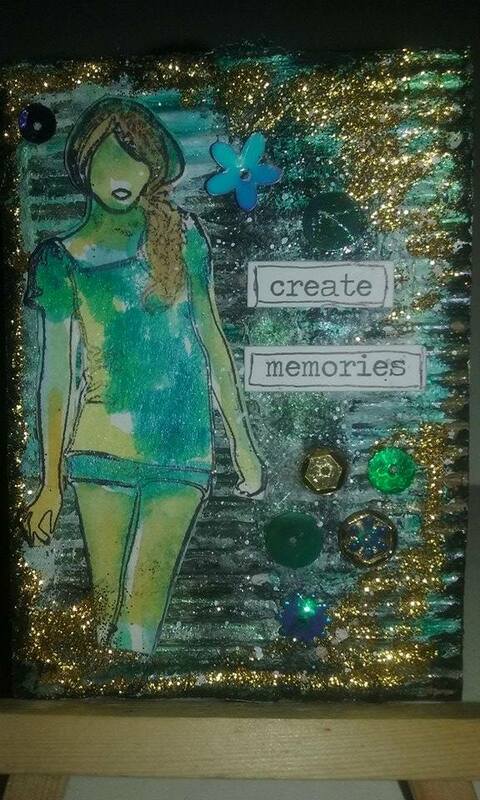 Awesome ATC'S you made girl!! NOW THAT'S THE WAY TO SPARKLE! Love them all! 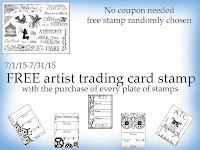 Like the ideas of coloring the stamps ahead. These are cute atc. 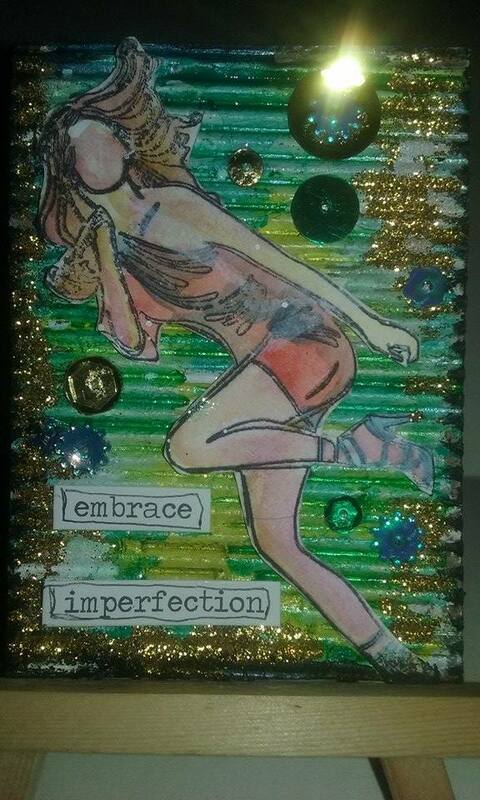 Love your sparkly ATCs, Tamiko. Those girls are awesome! These are fantastic!!! Love them!! I LOVE THEM!!!!!! Everyone has already said what I want to say. Except....you have my addy right? LOLOL But really, these are fantastic and I love the girl stamps. 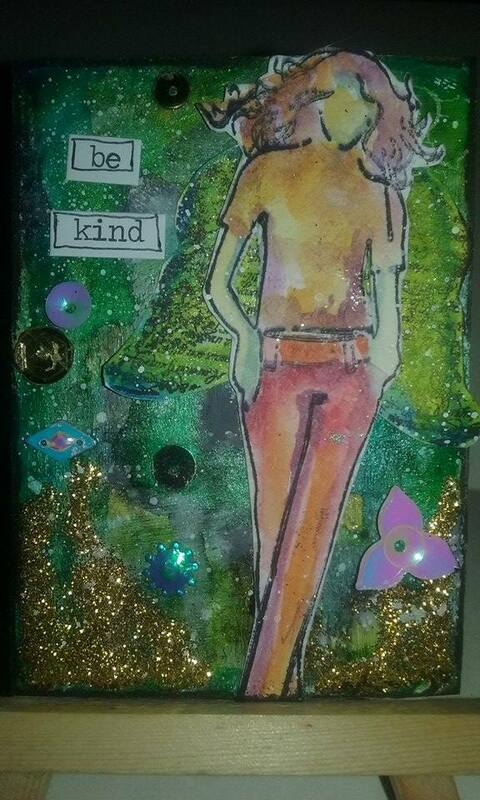 I love creating little ATC's. A mini work of art. These are beautiful Tamiko. Live it!! Cardboard is alway one if my favorites and these beauty's are a perfect example of why!! WOW...great, awesome and absolutely love it.